One of the key tasks of this vessel is to get guests and owner from ashore to the yacht in comfort and without having to sit in a tender under a sprayhood. The boat had to have a Pacific range meaning she is able to be powered by engines underway for 750 miles at cruising speed. 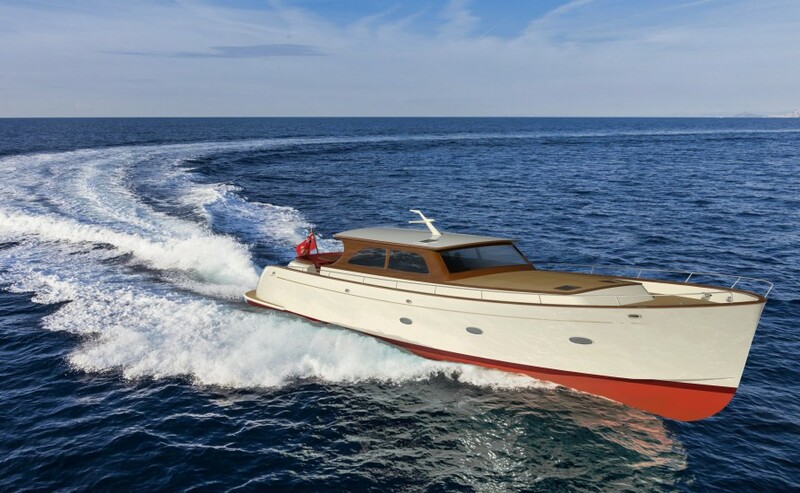 The boat is designed with two 925 hp SCANIA engines to drive fixed propellers for a cruising speed of 15 knots and a top speed of 25 knots. 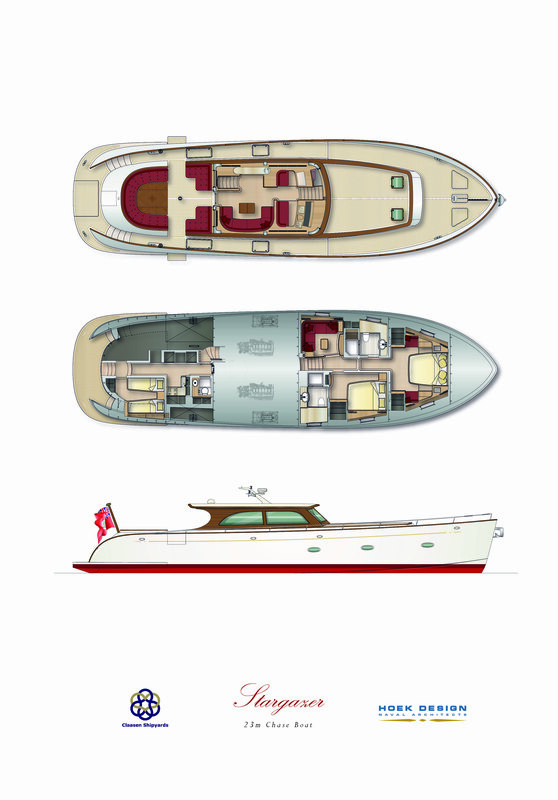 The concept of the yacht is unique and designed around several purposes the yacht needs to fulfil. • transport guests from shore to mother ship. • serve as a diving platform that goes into small lagoons and shallow areas where people can comfortably go in and out of the water using a large swim platform in the stern that forms steps underwater when deployed. • be able to hold extra stores onboard. • accommodate extra crew or guests in the three cabins onboard the yacht. This is the 27th project that Claasen and Hoek Design have collaborated on. 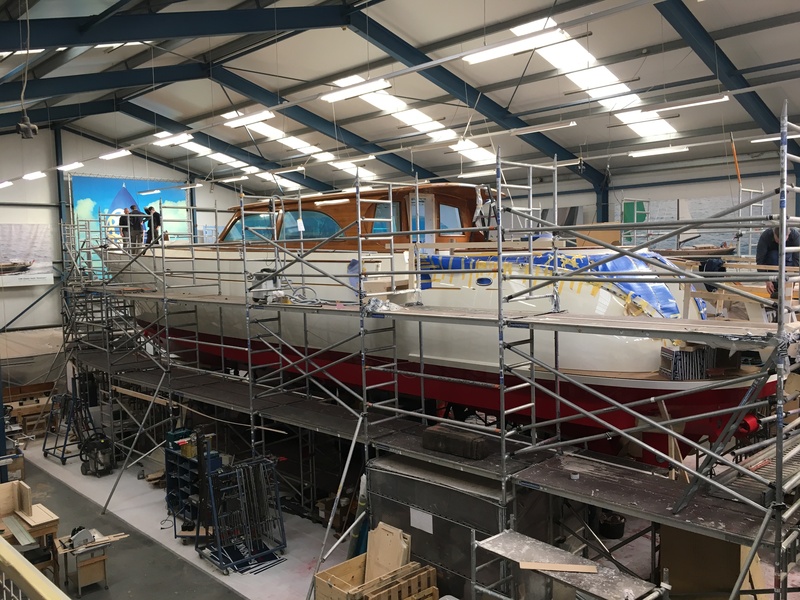 The aluminium hull is being built in the Netherlands and fit out, technical installations and all joinery work will be done at Claasen. The yacht will be built to superyacht standards as far as finish, styling, details and technical installations are concerned. During the complete process the owner is being represented by Taco from TZ Technical Support. In 2015 Taco re-located to Palma de Mallorca and started TZ Technical Support, where he has been assisting many yachts in solving technical issues, organising service work and repairs and managing refits and new builds. The launch of the Stargazer is planned for the beginning of April of this year.